Decision makers of the European Union decided on Thursday to accelerate down the European banking union by setting up an agency empowered with the authority to close problem banks in the euro area, but with no common fund to support individual bank failures. This agreement put an end to deadlock with the European Parliament, who convinced the euro zone countries strive to strengthen the banking union plans. The agreement reached Thursday completes the second pillar of the banking union, reports Reuters. 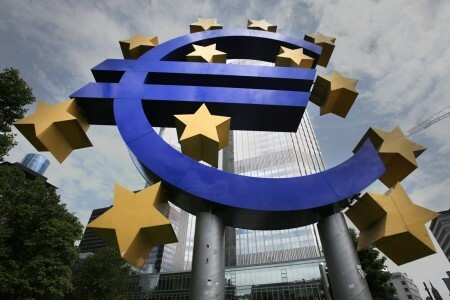 European Central Bank (ECB) will have a supervisory role, meaning that it will be empowered with the resources needed to close banks they consider too weak to survive. ECB is preparing to launch controls, although the banking sector is still weak from the prolonged financial crisis. “The compromise achieved today allows us to complete architecture for the euro area banking union,” said Michel Barnier, European Commissioner in charge of drafting legislation. “The second pillar of the banking union will allow efficient management of the banking crisis”, also meaning “end of the era of massive loans,” he added. EU countries will have more difficulty in dealing with the ECB when it decided to close failing banks. In addition, establish a joint fund of 55 billion for the next eight years, although the original plans provided for a period of ten years. Among the drawbacks of this plan is specified small size of the common fund, money that will be spent in a short time, appreciated members of the ECB supervision. To remedy this problem, the fund will be able to borrow, but the 18 EU countries will work closely to facilitate the granting of these loans. In addition, euro area countries do not intend to make a common front to bear the cost of European bank failures, thus violating an important principle of the original plan to establish banking union. Critics accuses is not respected one of the essential conditions for creating banking union, again leaving each country on their own in situations limit.